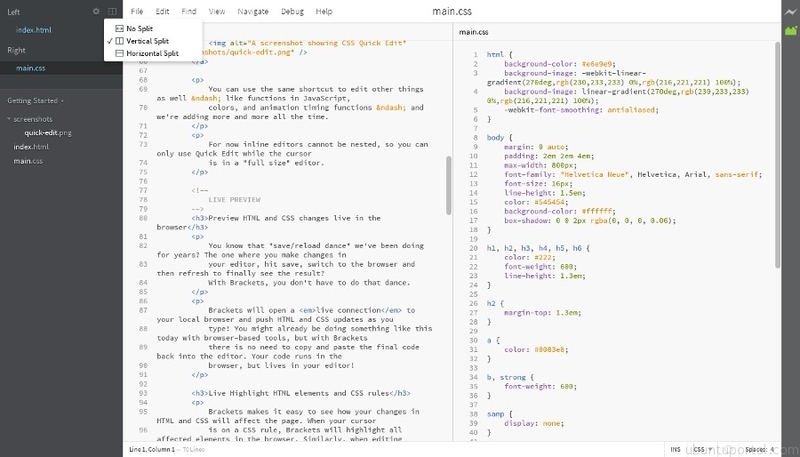 In additional, Brackets is lightweight and streamlined editor when compared to other editors and has useful features like Quick Edit and Code Preview. 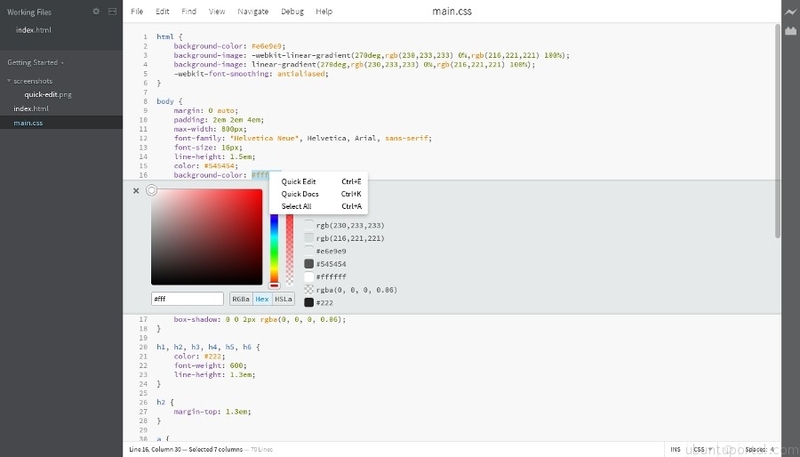 Quick Edit allows you to change and modify a particular section a your code by right-clicking it and changing its properties. 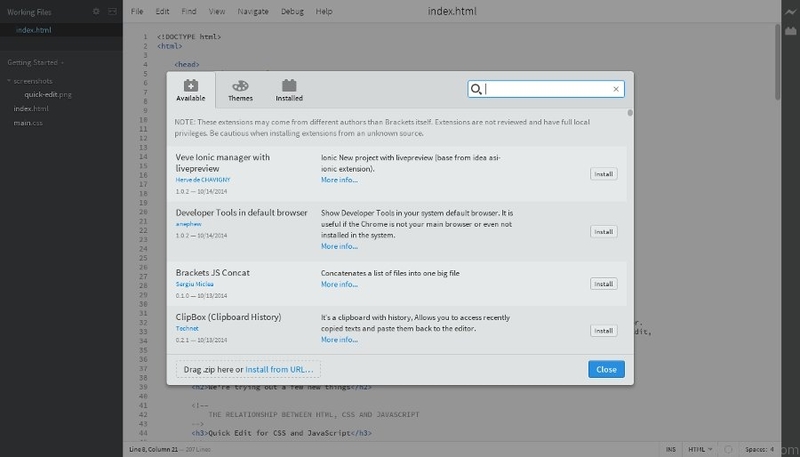 Brackets also comes with an extension manager, which provides support for tens of extensions that extend the editor’s functionality, and also includes a big number of themes to choose from. Extensions can installed directly from the list provided by the manager, drag a ZIP archive containing an extension, or provide an URL. 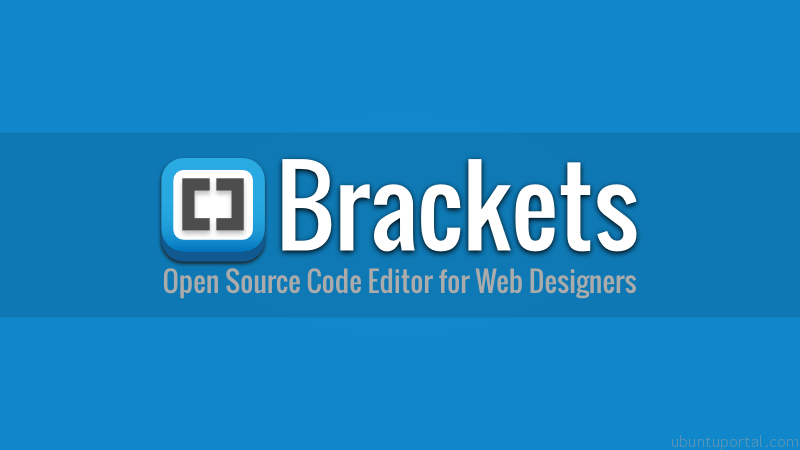 Currently brackets available in version 0.44. One of the most important new features in the latest brackets 0.44 is split view (horizontally and vertically). There are also a few interesting improvements, like improvements to the project tree, improvements to stylesheet editing, a new option in Preferences to show the cursor when text is selected, and localization support for the Extension Manager.